CRNA’s are important members of the anesthesiologist team. They actually pre-date anesthesiologists, or doctors who administer anesthesiology, as they came into existence during the 1800’s. At that time the civil war was raging and anesthesia was needed and utilized to reduce pain in surgical patients and wounded soldiers. If you are thinking of joining the medical field, this is one of the most advanced and well-paid career options you can choose from. 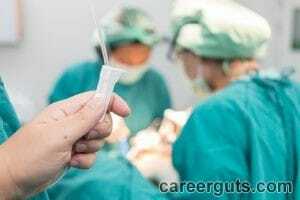 1 What is a CRNA? The certified registered nurse anesthetist plays an important role on the anesthesiologist team, enabling the completion of many surgeries, especially in hospitals where anesthesiologists are not present and able to do so. 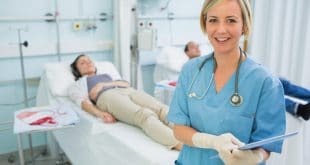 These advanced nurses work mainly in hospitals, medical offices, and outpatient surgery centers, delivering about 65% of anesthetics in the US, according to the AANA. Many hospitals and medical centers these days are more willing to hire a certified nurse anesthetist than an anesthesiologist because it is more cost effective. Depending on the state the CRNA is working in, he or she may be able to work alone, instead of under the direct supervision of an anesthesiologist. This allows medical centers to offer competitive pay for CRNA jobs. According to Payscale.com, this often means CRNAs can earn between $82,544 a year and $173,915 a year. Nurse anesthetists often have the same job description as physicians who specialize in pain management and anesthesia. Think that becoming a CRNA might be a fantastic option for you? Make sure you are ready by meeting the requirements necessary to enter this field. CRNA Training – Before you can become a CRNA, which is a type of advanced practice nurse, you must complete your nursing degree. This includes either a bachelor’s degree in nursing or related field. 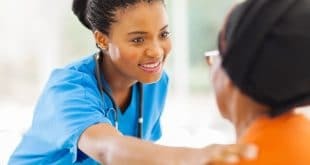 Licensure – After you obtain your bachelor’s degree, you will then be required to obtain your license to practice as a registered nurse in your particular state. This involves taking the nursing exam to prove you are knowledge and skilled enough to be a competent and successful registered nurse. 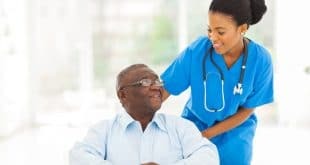 On the Job – After you earn your license, you will need to work for at least one year as a registered nurse in an acute care are of a medical facility, like the emergency room or intensive care unit. CRNA Requirements – Once you have completed your year of on-the-job experience, you may then must then find accredited CRNA schools. These CRNA programs will allow you to obtain the education you need to work with anesthesia and pain management. Once you have undergone these studies, you will be eligible to take the national certification examination to earn your certification and begin working as a CRNA. Are you ready to join the health care field as one of the most advanced practical nurses and the highest paid? This career has never looked better, as more hospitals and medical facilities are hiring nurse anesthetist than ever before! Previous What is the TEAS Test for Nursing Students?